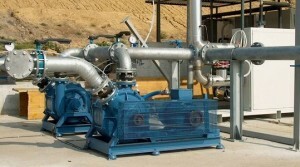 SAVIO products are widely used in the Biogas sector. In particular, the multistage MICO blowers in Atex version are used to convey Biogas, produced by conversion and fermentation processes and sent to post-combustors or to endothermic machines to produce hot water and electric power. The sealed centrifugal fans and multistage blowers are also used to convey the Biogas produced by fermentation processes in dumps and sent to the heat generators.